Diamond & CBN Products with the Accent on Quality! 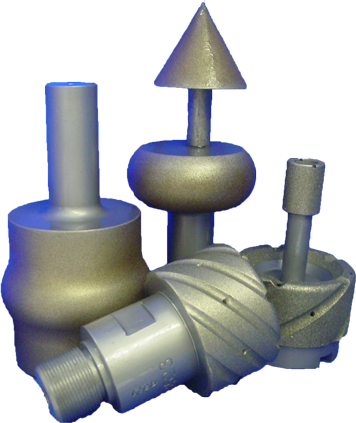 Accent Abrasives, LLC was founded in 1997 to manufacture electroplated Diamond and CBN tools and supply the complete range of abrasive and superabrasive products that is required to meet the challenges of todays hi-tech manufacturing environment. While we do make jig grinding mandrels 5/32"x1/4" on 1/8" shank (just like everyone else), we also make .147"x1/2" on 1/4" shank 4" OAL. Involvement in the tool design phase allows Accent Abrasives to provide a tool to solve any and all of your grinding, polishing, cutting, slotting or stock removal problems.